New York is definitely one of the most popular cities in the world and is always full of hustle and bustle. If you are travelling to New York for a vacation, irrespective of the season, you will find things aplenty to do in the city where the past meets the present gloriously. 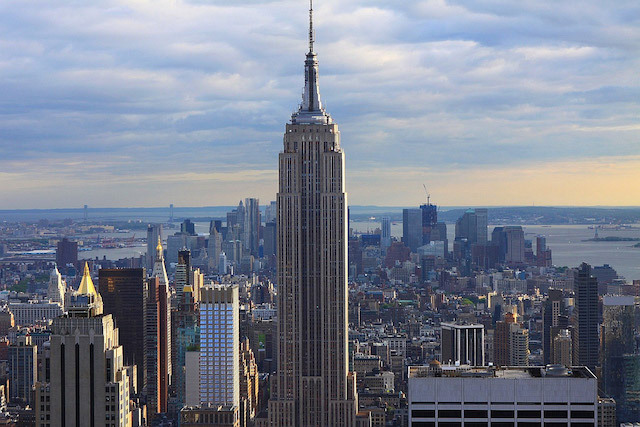 The urban buzz is created by the gorgeous sights of the Statue of Liberty and Empire State Building and popular museums such as the Met and MoMa! The hotspots for shopping and the eateries that serve delectable drinks and dishes all add up to the charm of NYC! Plan your trip to NYC wisely and see the New York attractions that will prove to be a memorable experience. The best French gift to America, it is looked at as a symbol of freedom and a great American icon worldwide. One of the largest statues in the world, it stands at a height of 152 feet and was France’s gift to America. Built in 1886, it remains a famous world symbol of freedom and one of the greatest American icons. It is one of the world’s largest statues, standing at a height of 152 feet. You can enjoy a good view of the statue from the Battery Park, which is on the southern tip of Manhattan. However, the ideal way to go about this is to take a short boat trip to Liberty Island and walk around the base. It is not very easy to book tickets since they are in high demand, and it is recommended that one pre-books their passes. This park has been romanticised enough in all our favourite American movies and television dramas for us to skip a visit to the huge park in the city center. You can walk, peddle or take a carriage ride through the criss-cross pathways. However, a very highly recommended experience is to go ice skating at the Wollman Rink during winters. Apart from its proximity to nature, Central Park houses other attractions such as the Belvedere Castle, Strawberry Fields, the Central Park Zoo, and the Lake. Popularly known as the Met, it was founded in 1870 and is one of the most popular museums in New York. The museum boasts of a sprawling collection with more than 2 million artworks that have been collected over 5000 years. The most popular works include American decorative arts, arms and armor, costumes, Egyptian art, musical instruments, photographs, and much more. It is amongst the most famous landmarks in New York and was the tallest in the world for a long period before the World Trade Center surpassed its height. There are two observatories at the top, and both give stunning views. The observatory on the 86th floor is the highest observation deck in the city, and on the bucket list of many who visit New York. One can reach the top in the high-speed, automatic elevators. There is a glass-enclosed area, that is heated in the winters and cooled during the summers, as well as spacious outdoor promenades on all four sides of the building. Plan in advance because the queues to reach atop are maddening! It is one of the few places in the world that are exciting on any day during any season of the year. However, the epic New Year Celebrations coupled with the “ball drop” at midnight with the streets full of people in an American experience you would not like to miss. While it is always crowded and busy, it has a certain charm to itself. Without further delay, plan your next holiday in New York and do not miss out on any of the 5 tourism jewels that we have mentioned above!